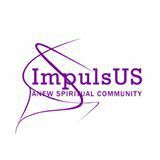 Imagine being a part of a spiritual community that comes together weekly in spiritual practice. This means meditating, chanting, contemplating, praying, practicing generosity, service and studying together. Our community is not limited to one religion or thought system and is open to The New Now being revealed. The Presence can be found in, but isn’t limited to past stories. It is alive in each one of us NOW and HERE. Saturday gatherings are experiential with a spiritual practice, talk or experience by Reverend Bonnie or guest, and conversation amongst all of us. Love offering requested.